Hundreds of laid-off former bank employees have attended a rally in Beijing demanding better benefits. Many had outwitted police to be able to attend the protest, which was eventually attacked by police. Despite facing economic hardships, petitioners at the scene donated funds for victims of a devastating earthquake in China’s western Qinghai province, which killed more than 2,000 and injured around 12,000 according to the latest count. Petitioners said the Monday protest was one of the largest held in recent years by China’s bank employees. 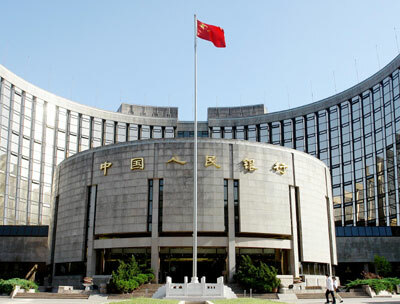 On Sunday, however, authorities stopped many more laid-off bank employees from traveling to Beijing for the demonstration. In China’s northern Inner Mongolia Autonomous Region, unemployed bank worker Yang Xiaodong was taken away by police Sunday evening after contacting a rights group by cell phone to discuss the next day’s rally. But many petitioners outwitted police, eventually arriving in Beijing on Monday to take part in the protest. “I was forced to leave my job in 2003. It has been impossible for me to get another job as nowadays even college graduates can hardly find a job. There is no way for me to make a living,” the petitioner said. He said he has been petitioning since being laid off, but has received nothing in compensation. Many petitioners have spent years pursuing complaints against local officials over disputes including the loss of homes and farmland, unpaid wages and pensions, or alleged mistreatment by the authorities. Parents of children affected in the tainted milk powder scandal in 2008, and those who lost children when schools collapsed during the 2008 Sichuan earthquake, have joined their numbers. Few report getting a satisfactory result, and most say they have become a target of further harassment by the authorities.